Mercy for Animals just released footage from an undercover investigation at Riechardt Duck Farm in the San Francisco Bay Area. The investigator turned over footage to the Sonoma County Sheriffs Department which resulted in a raid on the factory farm that holds close to 300,000 animals. Factory farm footage like this seems even more compounded and cruel when you think of the absence of anything close to what a ducks habitat would resemble. Though not surprising, the “industry” definition of animal cruelty takes none of this into account. Maybe thats more damning? 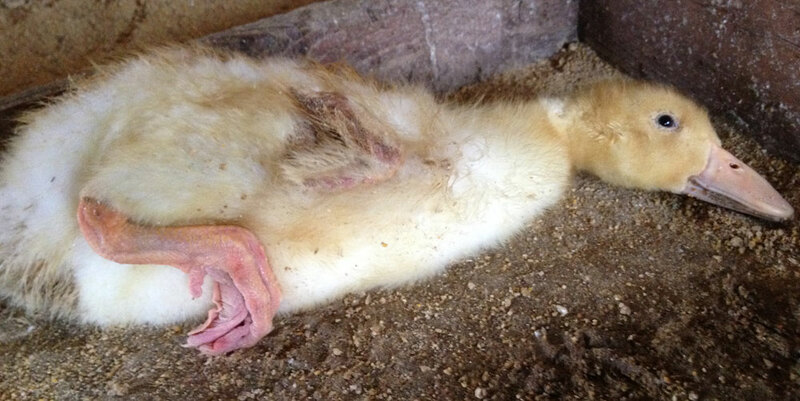 This isn’t really a case of factory farm out of control or perpetrating unusual cruelty. This is by the book abuse. It’s just a stronger case that eating animals is fucked up. For more info, check out the Mercy for Animals and exclusive video on the ABC 7 site.